Our midpack persistent slab that we talked about earlier this winter is back in the "limelight". It requires hard force to initiate fracture, but partially propagated across the column. At this time of year we can easily cycle back to loose wet or wet slab problems if day time heating or rainfall is substantial. 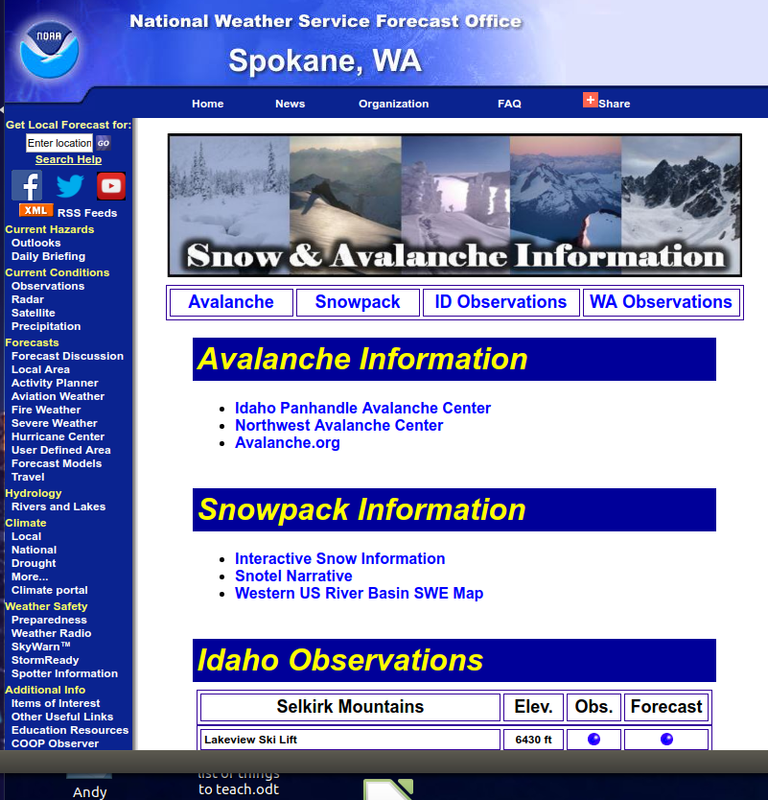 Snowpack conditions can change very rapidly at this time of year. Snowpack conditions are largely stable as a result re-freezing tempertures from Wednesday morning forward. The loose wet and wet slab conditions that plagued us for so long have been mitigated by night time freezing. Thursday on Mount Henry in the Yaak region it never got above freezing. Our weather forecast through Saturday calls for more significant night time re-freezing. This will continue to drive temperatures deeper into the snowpack and help bond and stiffen layers. At this time of year, snowpack conditions can change quickly with significant warm weather or rain. Good snow is a bit hard to find, but when you find it, stay aware of changing conditons. Earlier this week, a Forest Service hydrologist measured snow depth and SWE at Baree Mountain near the south end of the East Cabinet Range. There he observed the remnants of a wet slab avalanche on a north aspect triggered by a wet loose sluff from the day before. Thursday I visited Mount Henry in the northern Purcell Range. At 6,500 feet I encountered a 55 inch deep snowpack on a steep north aspect. There was one inch of new snow overnight with the storm finishing with large (6mm) graupel. Below that, the next eight inches was a knife hard crust that had set up after re-freezing. The next 17 inches was 1 finger to pencil hard slab material. Below that is 18 inches of 1 finger to 4 finger soft snow sitting atop a thin knife hard crust. The base layer is 1 finger hard slab material. Extended Column Tests yielded partial propagation with hard force at a layer about 41 inches from the ground (ECTP 22). Since the Friday March 27th advisory, weather in the Kootenai Region has been warm and wet until Wednesday morning. All SNOTEL sites reported above freezing temperatures day and night up until Wednesday morning when re-freezing occured through Thursday. 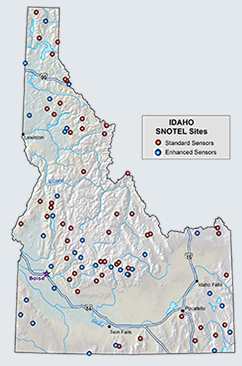 SNOTEL sites are reporting a mix of rain and snow with a loss of snow water equivalent outpacing any new snow water equivalent accumulation. Total precipitation amounts by site are: Banfield Mountain 0.4 inches, Bear Mountain 1.7 inches, Hawkins Lake 1.3 inches, and Poorman Creek 2.1 inches. Snowpacks throughout the region continue to show depth consolidation from 2- 8 inches. Weather on Thursday at Mount Henry (7,243 feet) was mostly sunny with an approaching cloud front, 25º F, calm winds, and one inch new snow finishing with graupel. Forecasted weather through Saturday calls for mostly cloudy skies, melt - freeze temperature cycles, southwest winds 9-12 mph, 30-50% chance of snow showers, and possible accumulations of 2-3 inches. Freezing level will be at 2,500 -3,500 feet elevation.